Should you move to Office in the cloud? Many small businesses are migrating to the cloud. The great thing about such a move is that you only pay for what you use, allowing you to scale up and down as and when necessary. A move to Office 365 away from local storage and Exchange servers can increase your business's ability to share and collaborate on documents and data. There are a few main areas to consider when moving your productivity apps onto Office 365: email accounts and data; documents; websites and management. Migration can be a complex task. Small businesses with few users may wish to consider starting from fresh. Larger organisations with hundreds or thousands of users will require a lot of advanced planning and the process for moving users can be monotonous. You should also ask yourself some difficult questions about the migration. How does the organisation prepare for the move? What regulatory or compliance issues are there? Where is the data stored and is it secure? What skills are needed for migrations and does it require external help to carry out? The first task of any migration to Office 365 is to spring clean the infrastructure. This means fixing Active Directory by running a health check and making sure all Active Directory objects are in good shape. You will also need to disable, delete, or archive users, organisational units, mailboxes, Public Folders, and SharePoint libraries and sites. After this, you then need to make a list of what content needs to move and what can be safely ignored. The more time put into preparation for migration will shorten the time it takes and cuts down on error. Email in an organisation isn't just email addresses. There are workflows built into the system. Before migration, document how email comes into the network and how Exchange processes it. You should also document how users connect to the mail server to get emails. You should also list email and related servers and the network components (alongside LAN and WAN diagrams. Any applications or devices using MAPI or SMTP to relay emails should be recorded. As well as this both internal and external DNS MX and A records should be noted. It is also important to list any public secure web (SSL) certificates as well as encryption and archiving settings. The right tools can make migration easier. The OnRamp for Office 365 carries out pre-migration checks on Active Directory and its environment. Office365 Lync Online Transport Reliability IP Probe (TRIPP) will let you know how good the connection to Office 365 is and whether you need to upgrade your broadband connection. The Microsoft Remote Connectivity Analyzer can test external access portions for Exchange and Office 365. There are four migration paths for Office 365 an organisation can take: IMAP migration; Cutover Exchange migration (CEM); Staged Exchange migration (SEM) and hybrid deployment. IMAP migration extract email form source email systems by IMAP, MX records are changed and workstations configured to connect to Office 365. Only email is moved; contacts and calendars stay put. CEM is the same as IMAP migration but uses RPC over HTTPS to extract mailboxes from Exchange Server 2003 onwards. Hybrid deployment is used in situations where organisations need onsite and cloud email systems to co-exist for longer periods of time. This manages users that are both on-premise and in the cloud. 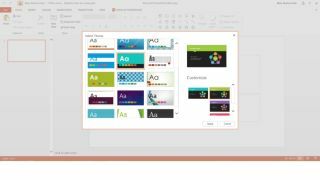 It may seem complex, but the move to Office 365 is no more complicated than any upgrade to your email systems carried out periodically, and will quite possibly be the last one you'll ever need to do.